We stock our products in the finishes that we feel suit them best. 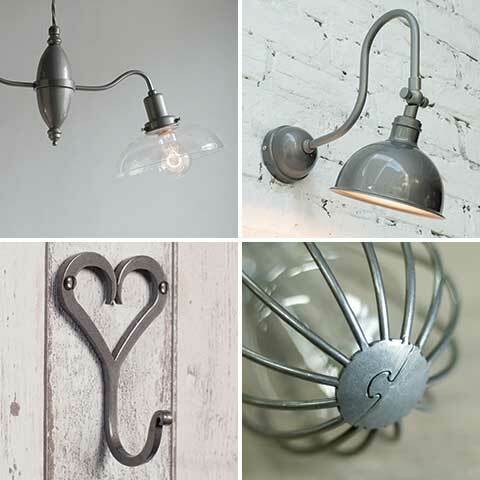 From traditional antiqued metal effects, to bold contemporary paint colours, our products are available in a fantastic variety of hand crafted finishes to perfectly suit your home’s style. Our most popular finish. We create this traditional look by treating solid brass with an antiquing solution, which simply speeds up the natural tarnishing process. 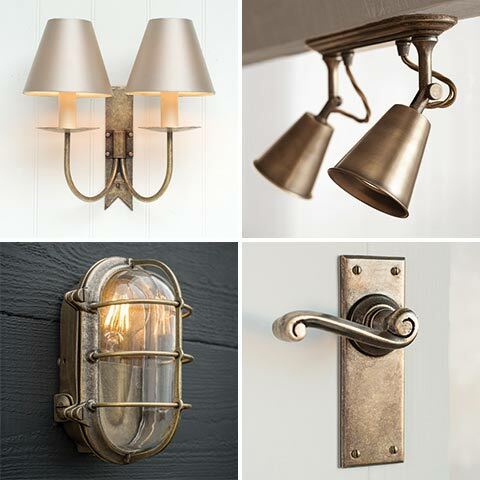 Our brass products are all non-corrosive so they are idea for both indoor and outdoor use. Free metal swatch available on request. Our Antiqued Brass products are created from natural, un-lacquered brass and will continue to age and develop a darker dull patina over time in your home. This is particularly hastened in harsh outdoor or damper environments. To decelerate this aging process we recommend regular polishing with a good quality brass polish and a soft cloth. Please note that chemical polishes can strip away the original antiquing solution too, so take care to use cleaning products sparingly to retain the aged look of the product. 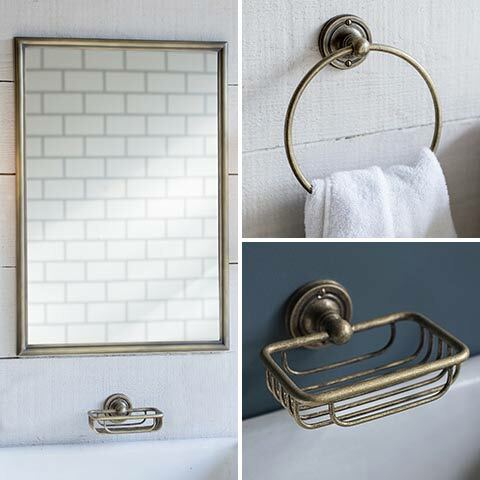 We have developed this version of our most popular Antiqued Brass finish specifically for our bathroom accessory collection. 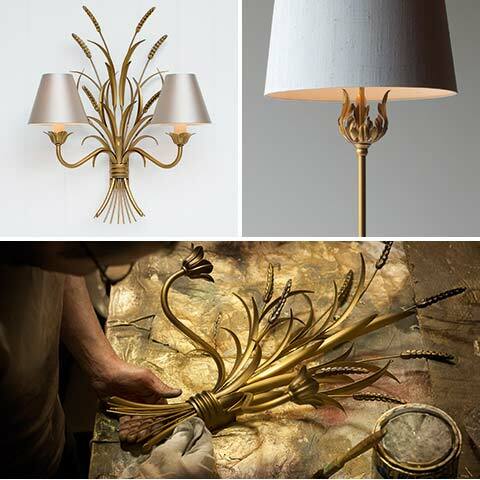 We create the traditional antique look by treating solid brass with an antiquing solution, and we then lightly lacquering each piece with a clear matt lacquer. This seals the items – preventing unwanted marks to towels and garments. 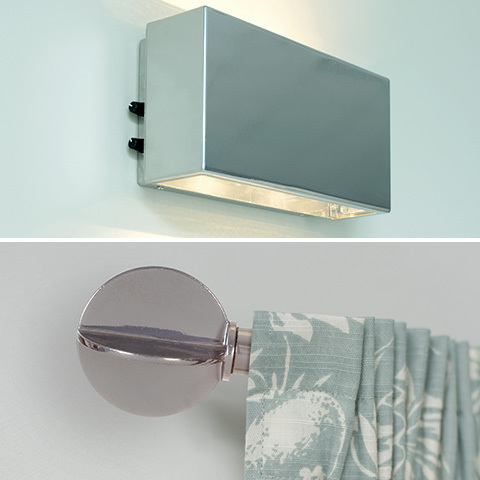 Our brass products are all non-corrosive and ideal for bathroom use. Free metal swatch available on request. As this is a lacquered finish it will require no on-going upkeep, however would advise that you simply wipe it over with a clean, lint free, soft cloth from time to time to remove any residual build-up of dust and dirt on the product. 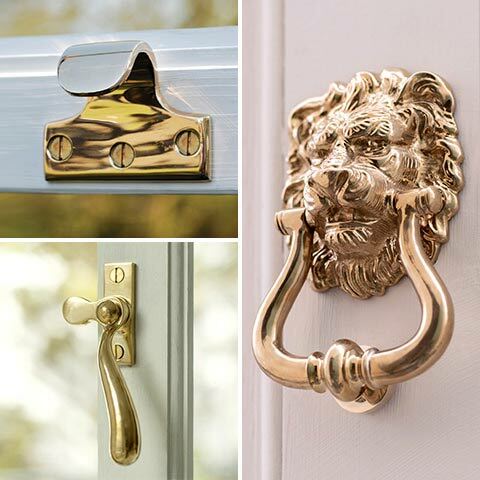 Our solid brass products are supplied in their natural un-lacquered finish and will tarnish over time. Brass is non corrosive it is suitable for any indoor and outdoor use. Free metal swatch available on request. As our brass is a natural, untreated product it will deepen down and develop a darker patina over time. If you wish to retain a bright, polished effect we recommend the products are regularly cleaned with brass polish and a soft cloth. 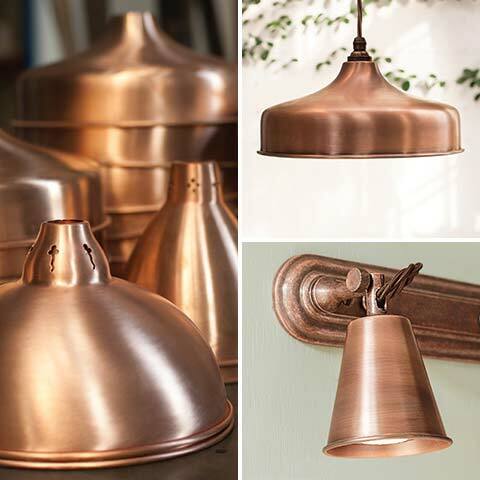 Created by our team of craftsmen who hand finish each solid copper piece with an antiquing solution, to accelerate the natural process of tarnishing. 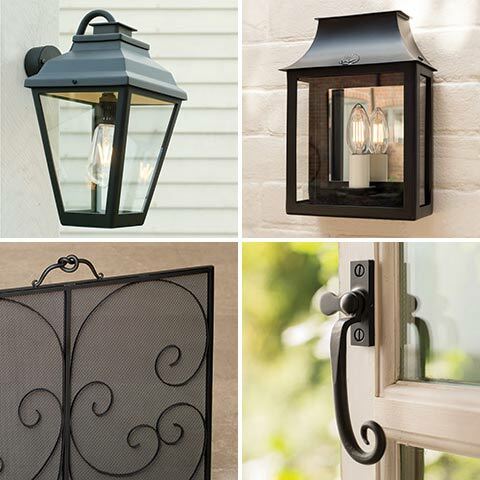 This process produces our beautifully soft, heritage finish suitable for both indoor and outdoor use. Free metal swatch available on request. As our Heritage Copper product use natural, un-lacquered copper, it will continue to age and develop a darker dull patina over time in your home. This is particularly hastened in damp or harsh outdoor environments. To decelerate this aging process we recommend applying a good quality metal cleaning solution to the tarnished areas. Simply work the cleaning solution in by rubbing briskly with a soft cloth and then buff the copper to restore its original lustre. Please note that chemical polishes can strip away the original antiquing solution too so take care to use cleaning products sparingly to retain the aged heritage look of the product. To create this crisp clean finish we coat solid brass with a heavy plate of nickel and then a flash layer of chromium to ensure a long life. Its corrosion free qualities make it an ideal choice for bathrooms. Suitable for indoor and outdoor use. Free metal swatch available on request. 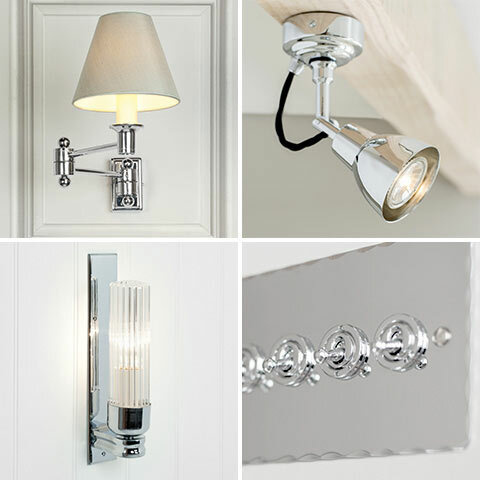 Our bright nickel finish is simply maintained by regularly wiping over with a slightly damp, soft cloth using a very mild soapy water solution. This will remove any grease spots or smudges on the product. For a more persistent blemishes on your products we suggest using a soft lint free cloth and a small amount of chrome polish. A traditional technique used by craftsmen since Tudor times. We heat each piece until the steel darkens and then dip the item into hot natural beeswax. As the beeswax cools and hardens it gives a traditional wrought iron effect and soft feel. This finish is not waterproof and is not suitable for outdoor or bathroom use. Free metal swatch available on request. 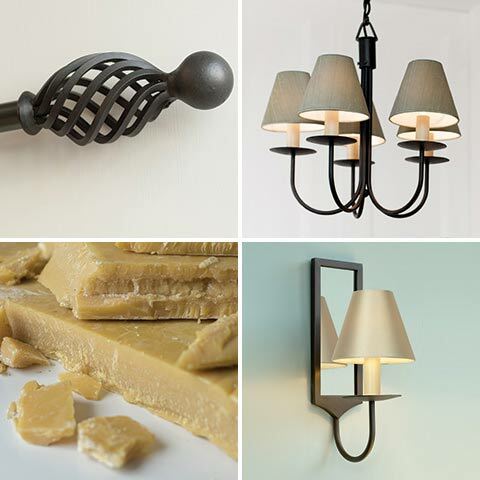 The natural beeswax coating on our products requires some light maintenance as the natural wax seal over the metal work can deteriorate over time. To avoid any unsightly corrosion occurring we advise that you apply a fresh coat of pure natural beeswax with a lint free soft cloth every 3 – 6 months. If the natural seal of the wax has perished the product may suffer some oxidisation. In this case you simply rub down the rusted area with a fine wire wool, taking care not to mark the product, and then re seal with a generous layer of natural beeswax. We polish our forged iron to a gunmetal/pewter finish, then seal with a lacquer. This finish is not always suitable for outdoor use, please refer to individual product descriptions for more information. Free metal swatch available on request. We advise you clean your polished items once or twice a year at least with a soft cloth. You can seal any chips and scratches in the lacquer itself with a high quality natural beeswax. This keeps the product clean and weatherproof. Lacquers may deteriorate over time in exposed or damp conditions and regular waxing will prolong the life of the product. A clean uniform finish, the paint is applied with a powder coating process that creates a smooth, hard-wearing surface. Suitable for both indoor and outdoor use. Free metal swatch available on request. As this is a powder coated painted finish it will require no on-going upkeep, however we would advise that you simply wipe it over with a clean, lint free, soft cloth from time to time to remove any residual build-up of dust and dirt on the product. 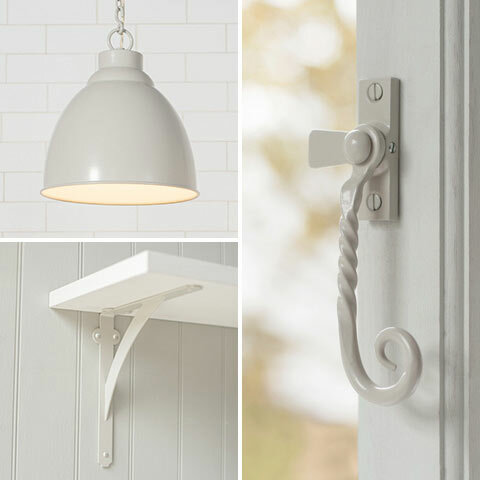 The newest finish to our range; a calm, neutral shade, ideal for creating a country house feel, indoors and out. The paint is applied with a powder coating process that creates a smooth hard-wearing surface. Free metal swatch available on request. As this is powder coated painted finish it will require no on-going upkeep, however would advise that you simply wipe it over with a clean, lint free, soft cloth from time to time to remove any residual build-up of dust and dirt on the product. This semi-gloss, deep grey paint finish is achieved with a powder coating process that creates a smooth, hard-wearing surface. Suitable for both indoor and outdoor use. Free metal swatch available on request. 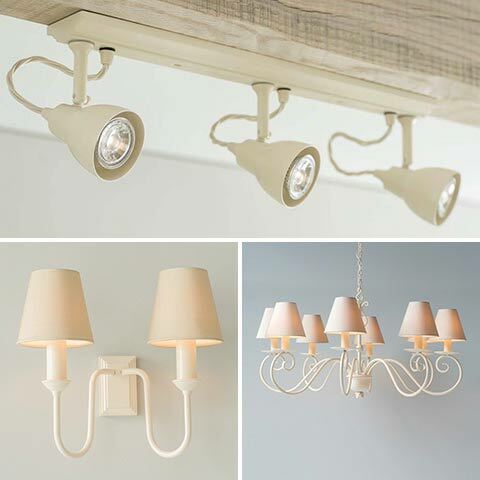 A subtle and versatile powder coated paint finish in a delicate warm-white. Suitable for both internal and external fittings. Free metal swatch available on request. We first prime and then paint each piece with a matt ivory finish. 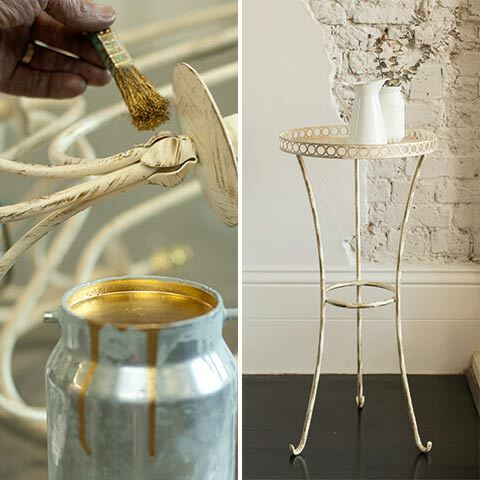 A hint of gold is then applied by our artisan craftsmen to give the finish its antiqued effect. For indoor use only. Free metal swatch available on request. As this is a delicate, hand finished paint effect. We would recommend light dusting only with a clean, lint free cloth. We paint our forged iron with a dull gold which is then subtly antiqued by hand to create a deeper, richer look. For indoor use only. Free metal swatch available on request. As this is a delicate, hand finished paint effect we would only recommend only lightly dusting with a clean lint free cloth. 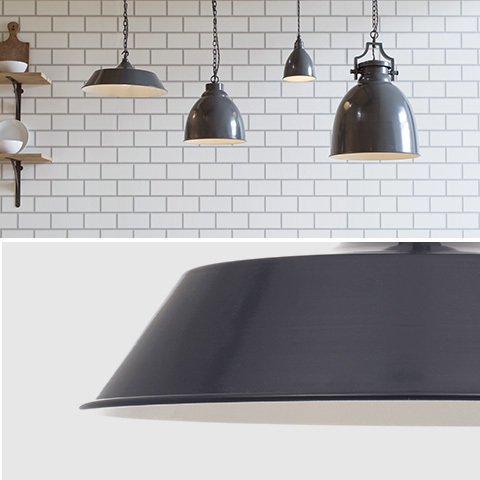 We apply multiple layers of mercury paint over a black base coat to create a deep, lustrous, metallic finish. Suitable for indoor use only. Free metal swatch available on request. 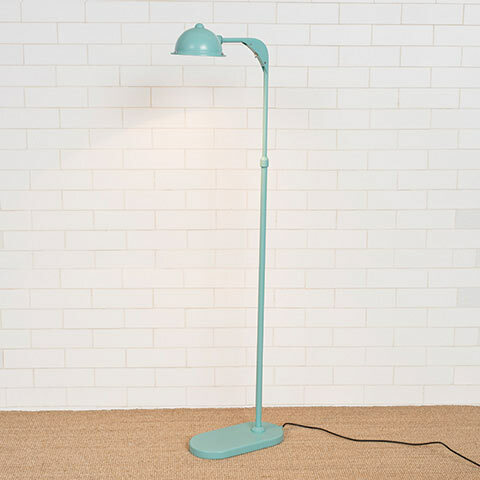 As this is painted metal finish it will require no on-going upkeep, however would advise that you simply wipe it over with a clean, lint free, soft cloth from time to time to remove any residual build-up of dust and dirt on the product. 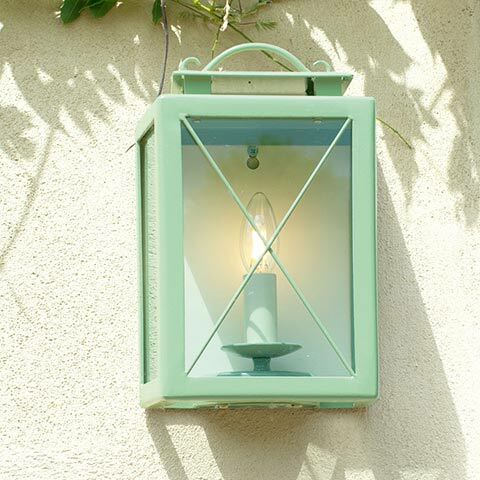 A painted soft green bringing a welcoming French country feel into your home & garden. Again suitable for both indoor and outdoor use. Free metal swatch available on request. As this is powder coated painted finish it will require no on-going upkeep, however would advise that you simply wipe it over with a clean, lint free, soft cloth from time to time to remove any res idual build-up of dust and dirt on the product. A fun, fresh finish ideal paired with florals for a shabby-chic feel. The paint is applied with a powder coating process that creates a smooth hard-wearing surface. Free metal swatch available on request. 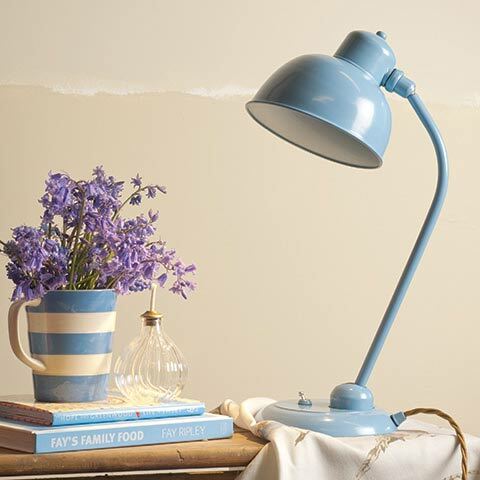 Bring a serenity to your home, both inside and out, with our cool, calming painted mid-blue finish. The paint is applied with a powder coating process that creates a smooth hard-wearing surface. Free metal swatch available on request. As this is powder coated painted finish it will require no ongoing up-keep, however would advise that you simply wipe it over with a clean, lint free, soft cloth from time to time to remove any residual build-up of dust and dirt on the product. 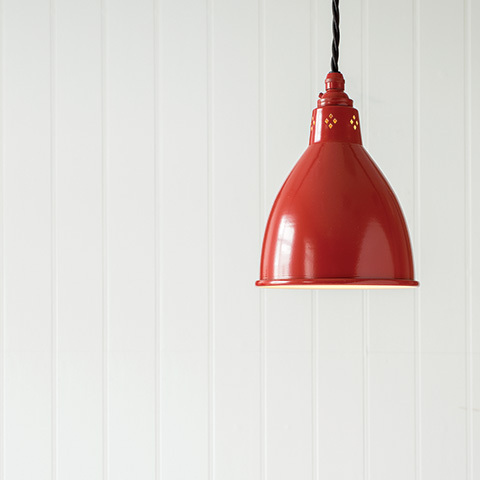 Create a playful tone in any interior with a vibrant, retro red. This painted finish is applied with a powder coating process that creates a high-shine hard-wearing surface that can be used both indoors and out. Free metal swatch available on request.